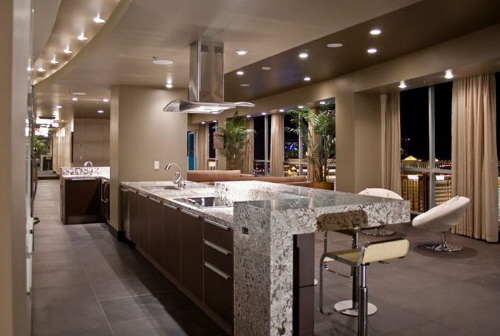 Modern- Modern interior design derives its influences through the modern art movements that preceded modern day design. In artwork, Modernism began while using the Impressionists and some otherswho used abstraction. Modern interior design grew from the decorative arts, more importantly Art Deco,from thelate 19th as well as the early 20th centurie. It reached its peak in the 1950’s and 1960’s, which explains why designers and decorators today may make reference to modern design as being “mid-century”. Contemporary– The basic definition of contemporary is “of the moment.” Contemporary art, design, and interiors are “of the day.” They exist in the here-and-now. And, taking this further, they could only exist in the here-and-now because ten years ago some of the materials and pieces wouldn’t have been available. And in ten years from now, there will be new pieces that do not exist today.Note: The terms modern interior design and contemporary interior design are often used interchangeably, however there is a difference between the two. Contemporary interior design can only mean trendy looks that are in style at any current moment, while modern interior design refers to the specific geometrical, clean-lined style called modern. 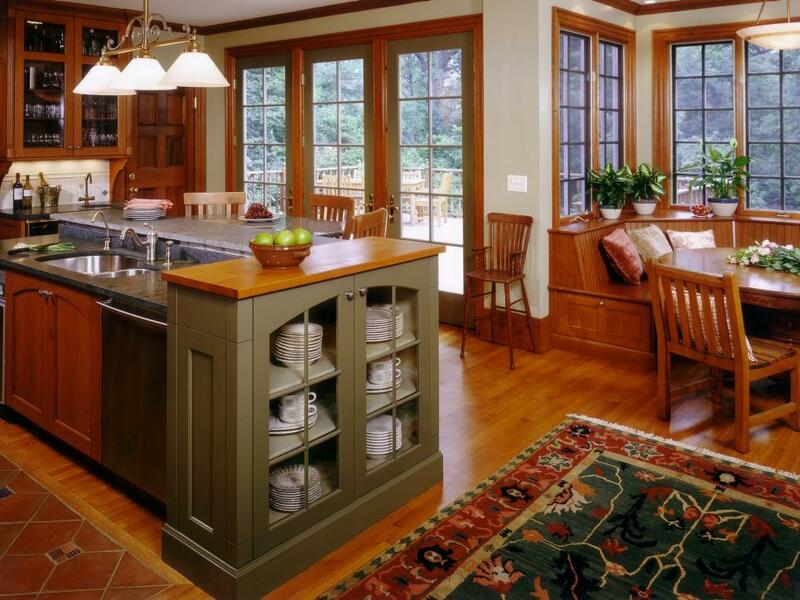 Traditional– Traditional interior design reflects classic European decor. Trademarks of this style generally include deep wood tones, architectural details, and elegant furnishings. This style is quite versatile and can be combined with other interior elements to create a unique look in a room. One of the most important facets of traditional interior design is the silhouettes, also called the lines, of the furnishings. Wing-backed chairs, claw footed tables, and curved furniture pieces that reflect the 18th and 19th centuries are examples of this. Common models for such traditional furniture are pieces attributed to the Queen Anne or Chippendale styles. Antiques are also often integrated into this design style, but many companies sell new pieces that mimic the lines of the old. Minimalist– Minimalist interior design is one of the architectural centerpieces of the 20th century. 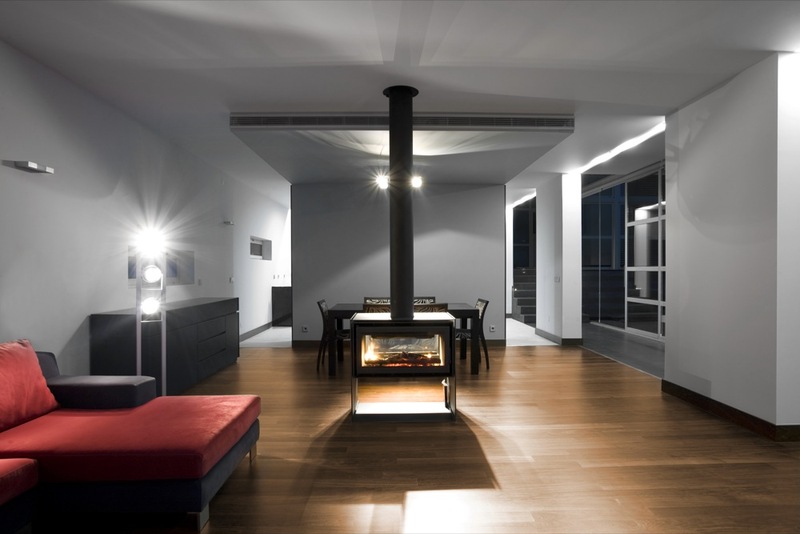 Spare and streamlined while still being inviting, minimalism is charming in almost any space. With less clutter to wade through and mentally process, the innate beauty of each piece of furniture or art in the home really starts to stand out.Everything is generally stored out of site.Minimalist architecture became popular in the late 1980s in London and New York, where designers worked to achieve simplicity, using white elements, cold white or blue lighting, large spaces with minimum objects and furniture. 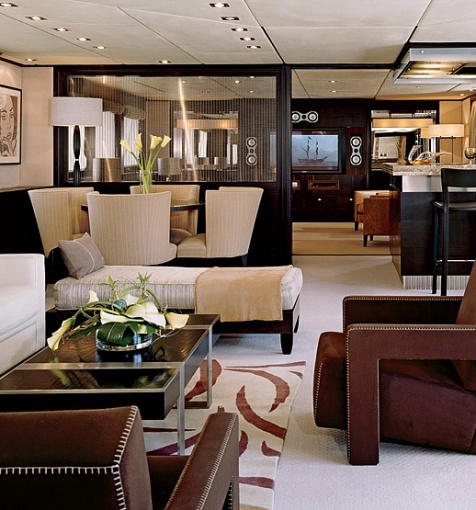 The concept of minimalist design is to strip everything down to its essential quality and achieve simplicity. Minimalism simplifies living spaces to reveal the essential quality of buildings and conveys simplicity in attitudes toward life. It is inspired from the Japanese traditional design and the concept of Zen philosophy.The idea is not completely without ornamentation, but everyhting is as reduced down to a stage where you cannot remove anything further to improve the design, or without disimproving it. Arts and Crafts– The Arts and Crafts movement took off around the turn of the 20th century. Like the Art Nouveau movement, it developed as a backlash against the overwrought style of the Victorian era. It rejected the factory-produced furnishings and decorative accents that prevailed at the time, embracing instead natural beauty and traditional craftsmanship. Artisans such as Gustav Stickley (who coined the term Craftsman, sometimes used for this style) and William Morris were seminal in establishing the Arts and Crafts code, and it characterizes much of architect Frank Lloyd Wright’s work. Some defining characteristics of Arts and Craft interior design are Wood: It’s probably the single most important element, and it largely informs the emphasis on natural, organic beauty that defines this decorating approach. You’ll almost never see painted wood in an Arts and Crafts interior — instead, the focus is on rich stains that preserve and showcase the natural beauty of the grain. French– An ornate, fanciful and decorative style is characteristic of French interior design.Colors range from rich, sun-drenched Mediterranean hues to softer, muted shades. Often, one color or fabric is repeated throughout the space.Accented by rich details and extensive use of gold, bronze and gilt.Furniture generally includes French royal style antiques or heirlooms. 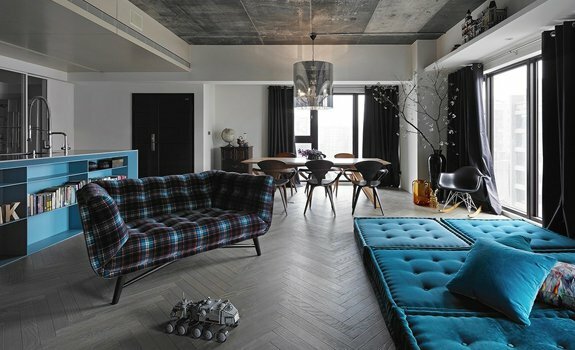 Urban Industrial– Industrial interior design is popular for decorating lofts and old buildings converted into living spaces, although it can be used for traditional apartments and houses too. What you need for this style is to create an illusion of rough surfaces and materials that suggest an industrial past. The simplest way to show roughness is to leave some walls or surfaces unfinished. In addition to some rough metal elements that will create an industrial atmosphere, you are looking for old industrial-looking objects that are made from steel, metal or wood. These items are preferably worn down or have been salvaged and recycled. 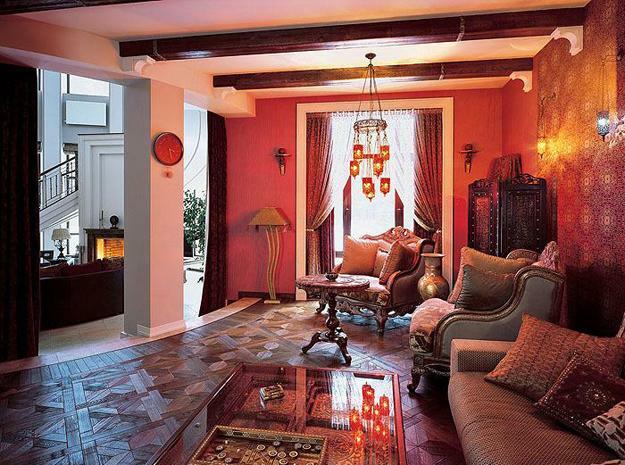 Moroccan– Moroccan interior design invites the rich colors of the Middle East, dynamic contrasts, traditional patterns, and the uniqueness of Moroccan decorations and accessories into your home. Vibrant colors of red and rich orange inspired by African sunsets, green and blue found in the shimmering Mediterranean, tones of gold, light brown, yellow and silver from the surrounding desert create a tropical atmosphere by bringing each element into the home. Exotic plants, terra cotta tiles and textured walls all tie the experience and atmosphere together.Mosaics: Small tiles and mosaic designs decorate many Moroccan home interiors. Mosaic designs are also used for decorating Moroccan mirrors, coffee table tops and bathroom sinks. 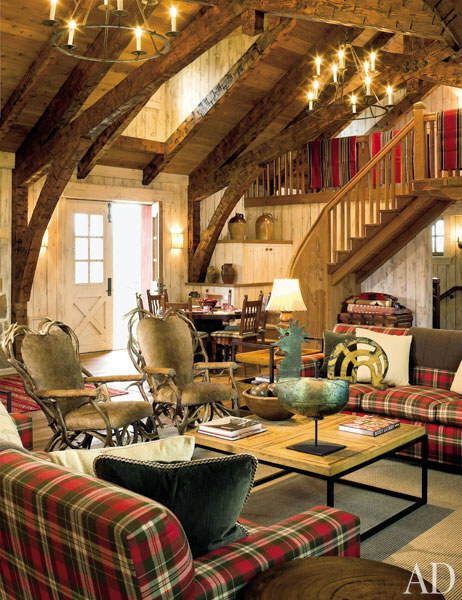 Country– Country style interior design is cozy bearing the resemblance of cottage style. There are many various culturally different country style designs that have the features of the time and style that was traditional to those countries. Thus you may find such country style types as French country, English country, American country, Italian country or Tuscan, and Modern country. Each type of country style has taken characteristic features of the culture it was used in. English country is relaxed and comfortable incorporating many floral patterns as well as stripes and plaids. Nautical/Cottage/Coastal- Warm, relaxing, and positive. The nautical look reflects the New England beach-side cottage spirit. White, blue, and sand colors should be used. Seashells in clear jars, unfinished wood pieces, and ropes are the traditional decorative accents.